Police are searching for two men who are believed to have used diamond-tipped cutting equipment to break through cell bars before scaling the walls of Pentonville prison and escaping. Matthew Baker, 28, was awaiting sentence following his conviction for attempted murder and James Whitlock, 31, was on remand after being charged with burglary. Escapes from British prisons are rare and when they happen they often hit the headlines. 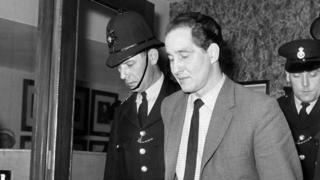 Perhaps the best known escape of all time from a British prison took place in 1965 when Ronnie Biggs, one of the so-called Great Train Robbers, broke out of HMP Wandsworth in south London. He scaled the prison wall using a rope ladder and escaped in a removals van. Biggs had served just 19 months of a 30-year sentence for his part in the theft of 2.6m from the Glasgow to London mail train in 1963. He spent 36 years on the run in Australia and then Brazil before being rearrested when he voluntarily returned to Britain in May 2001. He was released from prison in August 2009 on compassionate grounds after contracting pneumonia and died in December 2013 – nine months after attending the funeral of fellow Great Train Robber, Bruce Reynolds. 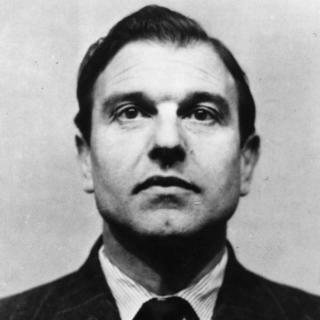 Former British spy George Blake was sentenced to 42 years in 1961 after being exposed as a Soviet double agent. He escaped from Wormwood Scrubs prison in west London five years later with two other inmates, using a rope ladder with rungs made out of knitting needles. Blake fled to the Soviet Union where he began a new life, and is still believed to be living in Moscow today. 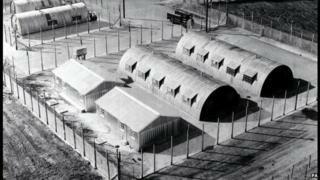 The biggest prison escape in British history took place on 25 September 1983 when 38 IRA prisoners broke out of the maximum security Maze prison in County Antrim. The men – who had been convicted of offences ranging from murder to causing explosions – escaped after taking a number of prison guards hostage. One prison officer was killed and another was seriously injured in the break-out, in which prisoners used smuggled guns and knives to overpower staff before hijacking a food lorry which they used to drive to the main gate. Fifteen prisoners were recaptured within hours of the escape, with most of the rest eventually tracked down by the security services. Extradition requests for three of the fugitives were dropped by the government in 2000 as part of the Good Friday Agreement. Two other men were granted an amnesty by ministers in 2002. One of the UK’s longest-serving prisoners, John Massey, escaped from Pentonville prison in north London in June 2012, apparently hiding in the prison gym before climbing onto the roof and scaling the wall using a makeshift rope fashioned from netting. Then 64, Massey was serving a life sentence for shooting dead doorman Charlie Higgins with a sawn-off shotgun at The Cricketers pub in Clapton, east London, in 1975. He spent 48 hours on the run before being arrested in Kent. It was not his first escape – it is understood he broke out of Surrey’s Coldingley prison in April 1994, reportedly fleeing to Spain before he was returned to custody. In 2007 he was released on parole, but broke his curfew to go and live with his dying father. He was recalled to prison and later sent to Ford open prison in West Sussex, but again absconded and went on the run for 10 months. 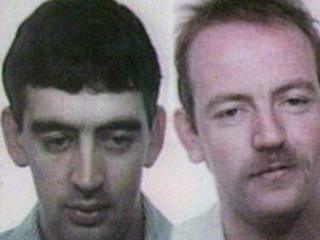 Pearse McAuley and Nessan Quinlivan, both members of the Provisional IRA, escaped from Brixton Prison in south London in July 1991 after subduing one of the guards and scaling the walls. The pair had been awaiting trial on charges relating to a suspected plot to assassinate a former brewery company chairman, Sir Charles Tidbury. After the break-out they stole a car belonging to a prison officer and drove to Baker Street Underground station – eventually fleeing to the Republic of Ireland. In August 2009, the Crown Prosecution Service said it was no longer seeking to prosecute the two men over the plot because there was “no realistic prospect of conviction”. 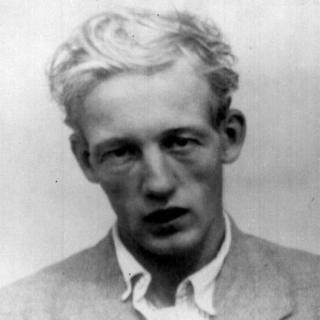 Convicted double killer John Straffen escaped from Broadmoor psychiatric hospital in Berkshire in April 1952 by climbing onto the roof of a shed and jumping over a wall. Within an hour of escaping he had murdered a five-year-old local girl, Linda Bowyer. He was recaptured the same day, convicted of the girl’s murder and sentenced to death, though this was later reduced to life imprisonment. The previous year he had appeared in court over the murders of Cicely Batstone, nine, and six-year-old Brenda Goddard, but was found unfit to stand trial and sent to Broadmoor. 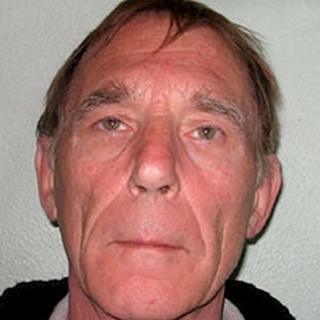 Straffen, Britain’s longest-serving prisoner, died in 2007 at the age of 77. His escape in 1952 led to the installation of the Broadmoor siren to alert local residents of an inmate on the loose, an alarm which is still tested every Monday. 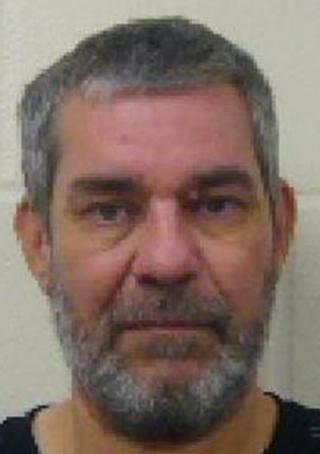 Michael Wheatley was serving a life sentence at Standford Hill prison on the Isle of Sheppey in Kent when he disappeared while on day release on 3 May 2014. Four days later Wheatley, who had 23 previous convictions for robbery, two for attempted robbery and 18 for related firearms offences, raided a Surrey building society, making off with 18,350. He was on the run for five days before being arrested in Tower Hamlets, east London. He was jailed and told he must serve 10 years before being eligible for parole, though this was reduced to eight years. Wheatley had gone on the run twice before and each time staged a series of violent robberies before being caught and re-jailed. He earned his nickname for using an imitation handgun as a blunt weapon to hit people – including a 73-year-old woman – during his robberies. An earlier version of this story incorrectly stated that 83 prisoners had escaped from the Maze in 1983. The correct number is 38.